Home AGA MUHLACH BOX OFFICE ENRIQUE GIL MOVIES SEVEN SUNDAYS 'Seven Sundays' Movie is a box office hit! 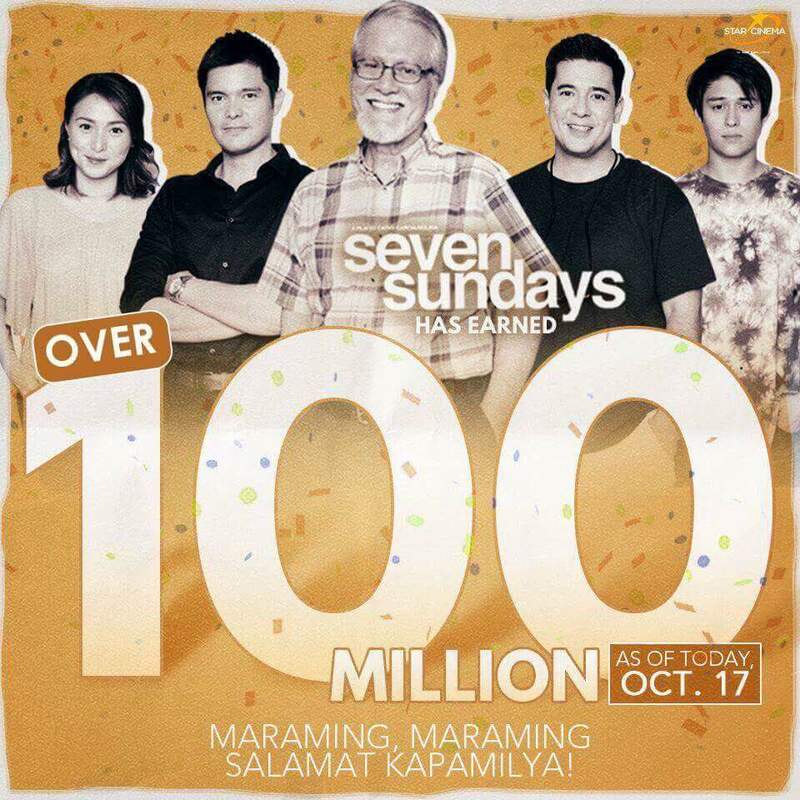 'Seven Sundays' Movie is a box office hit! It's official! 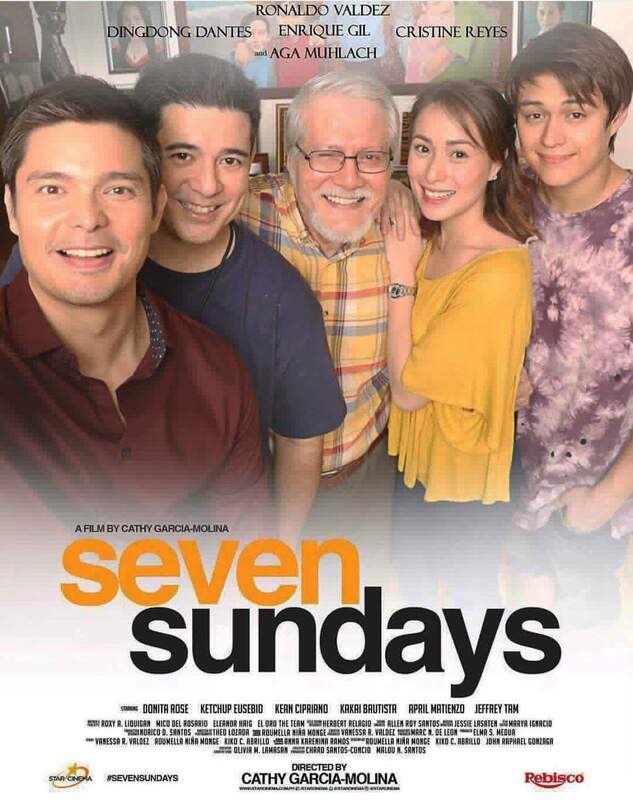 'Seven Sundays' is a certified hit, counting many millions at the Philippine box-office. Congrats to its stars Aga Muhlach, Dingdong Dantes, Enrique Gil, Cristine Reyes, Mr. Ronaldo Valdez and the whole cast, as well as to its director Cathy Garcia-Molina and producer Star Cinema for the strong box-office results of the movie! After a P10-million opening gross last October 11, 'Seven Sundays' has already grossed ten times of that as of this evening. Based on this IG photo update by Star Cinema, the film has already earned over P100-million as of today, October 17, 6 days after its release. It's certainly a big win for this movie comeback of Aga Muhlach, a 2-time Box Office King during the 2000s. For star Enrique Gil, it's his 2nd box office hit this 2017 (the first was 'My Ex and Whys last February). Wildflower's "Red Dragon" finally revealed! Baron Geisler goes to jail...again! MTV EMA 2017 Nominees include James Reid!